You could could make a YouTube clip montage of torture scenes from modern genre shows—score it to “Hurts So Good” by John Mellencamp, maybe—because every series has to have at least one scene where the good guys beat the crap out a captive for information, and then some of them feel bad about it. It’s a trope that’s so thoroughly a part of the landscape that I wasn’t surprised when “Judge, Jury, Executioner” opened with Daryl beating the crap out of Randall and demanding answers. I wasn’t even that shocked when Daryl used his knife on Randall’s leg wound to really put the screws to the kid. Of course this would happen eventually on a show like The Walking Dead, and of course there’d be some soul-searching afterwards, although almost all of it was done by Dale. It’s so predictable that there’s little power to it. Stories don’t need to surprise us to be effective, but they do need to find some unexpected or distinctive approach to familiar material. I cringed when Daryl stuck the tip of his knife in Randall’s wound, because I’m human, and I’m wired to respond to that kind of violence. (TWD is always good for a squirm or two.) But the conversations about what this meant for his character, or what the willingness to use torture as a tool meant for the group as a whole, didn’t have much weight behind them. Like much of this episode, it was inevitable; not in a “we’re doomed because this is a slow moving tragedy” way, but in a “we’re flailing for drama because we haven’t effectively established these characters, so let’s go down the checklist” way. “Judge, Jury, Executioner” continues the show’s post-winter break trend of rebuilding, and while there’s still too much talk and not enough tension, it’s promising how much more each episode has become focused on delivering distinct, beginning-middle-end stories. Last week, we had Rick and Shane fighting, and Beth’s suicide attempt. This week, it’s Dale’s attempts to save Randall’s life, and Carl’s journey into the heart of dumbness. Impressively, unlike last week, these two stories actually come together by the end, and they do so in way that, I’ll admit, I didn’t see coming at all. This may be a drawback of having read the comics. Some twists don’t surprise me (ha-ha, I knew Lori was pregnant! ), but I’m also trained to certain expectations, which means I may ignore warning signs if they don’t fit in with what I assume will happen next. I had no idea Dale would die. I assumed he was “safe,” or at least as safe as anyone on this show can be. Then he went wandering off at night, despondent over what he view as the group’s loss of humanity, and Carl’s zombie attacked him and gutted him. It’s a shocking scene, partially for its straight-forward gore, and partially for the astonished, uncomprehending expression on Dale’s face. Up until the end, “Judge, Jury, Executioner” had been the usual mix of good ideas and bad presentation, some strong spots, a lot of “Well, that could’ve worked,” but this, right here, is the kind of sequence the show needs. There’s too little sense of danger right now. The debate over whether or not Rick should kill Randall makes sense. Both sides had a rational, understandable position. On the one hand, you have the pro-death folks, who argue that they can’t keep Randall around indefinitely because they can’t ever trust him, and this is a world where you want as few potential distractions as possible. They can’t let Randall go, either, since he presumably knows the way back to the farm. (Although this argument is more problematic. Last week, Randall mentioned he knew Maggie, but this week, no one questions him on it. Did I miss something?) On the other hand, you have Dale, pointing out that straight up killing someone with no trial and no reason beyond “It makes life easier for us” doesn’t bode well for the group’s ability to retain any illusion of civilization. Theoretically, this is not a bad discussion to center an episode on. It’s going to be one of the show’s major themes for the entirety of its run, at least until the aliens show up (psych), and Dale has been pushing this argument for a while now. It’s his last episode, which means it’s time for him to get more screentime than usual, and he can spend all of that bugging his eyes out and shouting, “Shane is the Devil!” Plus, it gives the episode more structure, and that’s always something to be appreciated on The Walking Dead. After Rick announces Randall’s impending date with oblivion, Dale goes on a quest to convince everyone in the group that the kid should be spared. He visits Andrea, Daryl, Shane, and Hershel, and the pre-gutting climax of the episode is a big argument in Hershel’s house over what to do next. It’s all talk, sure, but it’s talk driven by a legitimately fascinating dramatic concern: When does it become justifiable to take a life? Under extreme circumstances, how far can you go to protect your own, and still be able to sleep at night? Some of this works; some of it doesn’t. Jeffrey DeMunn acts the hell out of what he’s given, but his performance, like most performances on the show, ranges from convincingly distraught to bug-eyed cartoon, often within minutes. He’s more consistent in “Judge, Jury, Executioner” than he’s been in the past, but I don’t think I’m going to miss him. There was a time when Dale was my favorite character on the show. He was reasonable, he had a reason for doing what he did beyond “don’t get eaten,” and DeMunn is a fine character actor. But over the course of this season, he’s gotten sucked into the vortex of shallowness that defines seemingly everyone else on the show. His plea for sanity and common decency should’ve been powerful, and at times it was, but that was more the actor than the writing. The entire conversation, the issue which drove most of the episode, was weirdly arbitrary. Intellectually, it’s easy to understand what was a stake; emotionally, apart from Dale’s increasingly desperate pleas, and Randall’s very definite conviction that he didn’t want to die, there was nothing there. The failure here is one of threat. 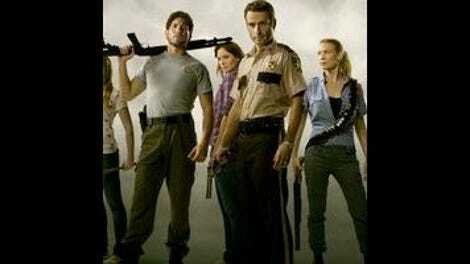 In order for this episode’s major issue to matter, we need to feel like Rick and the others are in real danger. There are no stakes here, apart from poor Randall’s continued breathing. Yes, we know he came from a group, and yes, that group is almost certainly going to pose a problem for our ensemble down the road (not a spoiler; it’s just, you don’t introduce a threat this major on a show so desperately in need of threats and then forget about it), but once everyone is back on Hershel’s farm, Randall’s group becomes more of a theoretical concern than a practical one. Admittedly, this is part of the point. Executing Randall shouldn’t be an easy answer, so there should be some question as to whether or not he represents an actual danger. But the disconnect here between the group’s intentions and the reality of their situation is so stark that it’s difficult to build up much dramatic momentum. Dale isn’t fighting a lost cause against a stark and painful new reality. He’s arguing with a bunch of unpleasant, sour morons that they shouldn’t shoot someone because that someone makes their lives a little more complicated. If The Walking Dead was doing this on purpose, if it was some sort of dark satire about some idiots in a zombie wasteland, I’d accept this. But we’re supposed to like these people. When Daryl says the group is broken, and when Dale ultimately agrees with him, we’re supposed to care. But the show has yet to give us much reason, and without a sense of impending doom, without some major Big Bad type threat out there pushing these people to tougher and tougher decisions, the tension continues to fall slack. We get thrilling, powerful sequences, but nothing builds on anything else. The show’s moment’s of quality exist in isolation, and that’s not good. At least Carl’s arc holds together. 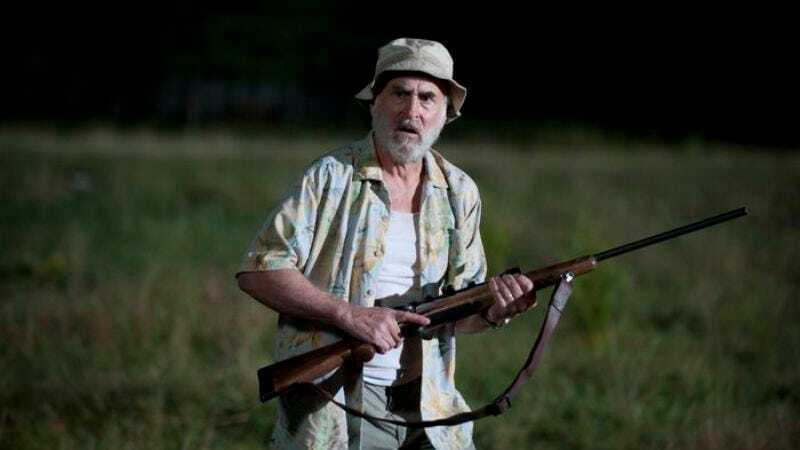 The Walking Dead often works best when people aren’t talking, and Carl’s surly, confused effort to figure out his place in the world had more resonance for me than Dale’s increasingly pointless attempts at debate. Carl mouths off to Carol (who suddenly, randomly, decides to take offense) (come to think, “suddenly, randomly” could be a description of three-quarters of the behavior on the show), hangs out with Randall, finds a gun, and goes off into the woods to taunt a zombie who got stuck in some mud. Carl’s in a tough spot. With Sophia gone, he’s the only child left in the group, which means he’s constantly getting in other people’s way, and he’s old enough to be on his own, which means he can do incredibly stupid things like throw rocks at dead people. In the end, Rick isn’t able to kill Randall because Carl comes across the execution and apparently wants to see his dad pull the trigger. So Carl isn’t all straight in the head right now, and finding out that the zombie he helped free is the one who killed Dale isn’t going to make him sleep any easier. Using Carl to both resolve the episode’s plot, and making him semi-responsible for Dale’s death, has a satisfying neatness, and serves as a reminder that for all their talk, Rick and the group have no idea what impact their choices will make. With the show’s most vocal advocate for sanity gone, making the right choice is going to be a lot harder. T-Dog has one line in this episode, and someone interrupts him. This is embarrassing. He’s worse off than Carl. At least people occasionally talk to Carl. I’m liking Lori more lately. Nothing huge, but given how problematic that character has been, I thought it was worth mentioning. Yes, Shane, we get it; you’re crazy. You can stop doing that ducking-head move now. Andrea was a civil rights lawyer! I totally forgot. In regards to the grade, this week wasn’t substantially better than last week, but Dale’s death is a big deal, and it’s another step in the right direction. If there was ever a show that would benefit from us thinking every character was in danger at all times, it’s this one.